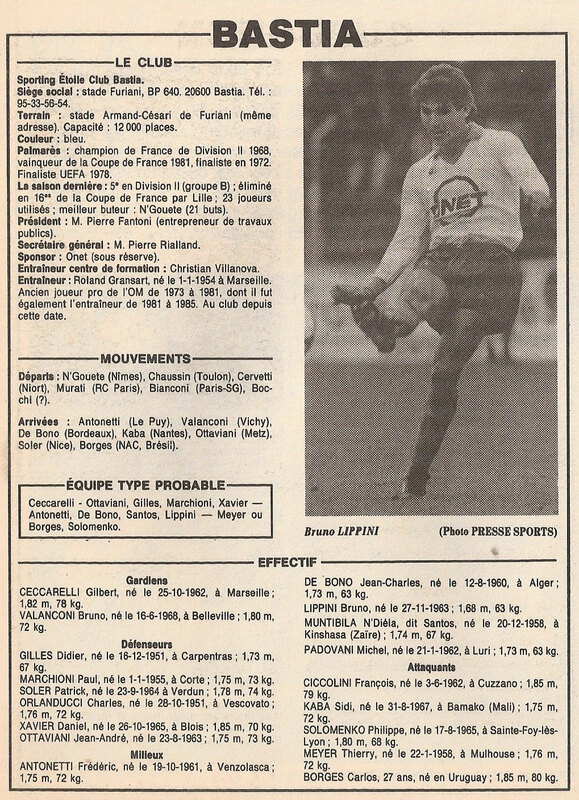 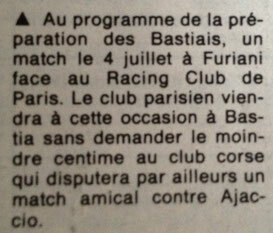 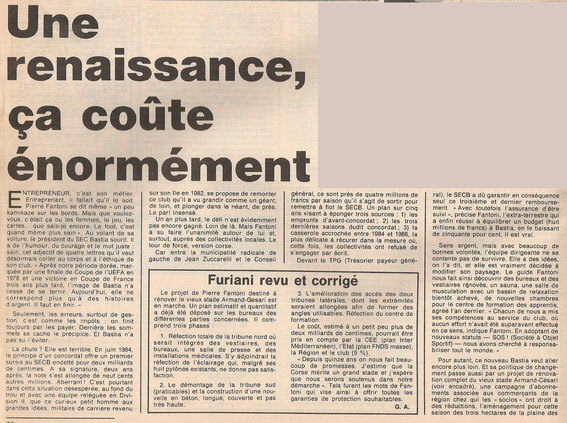 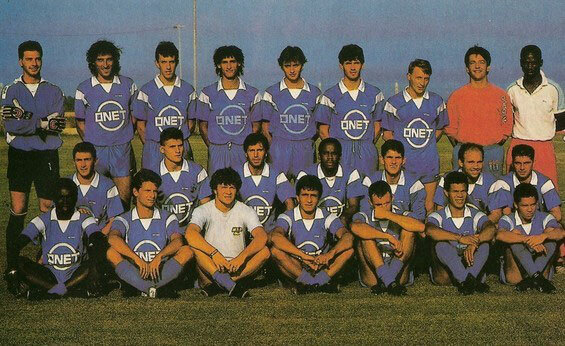 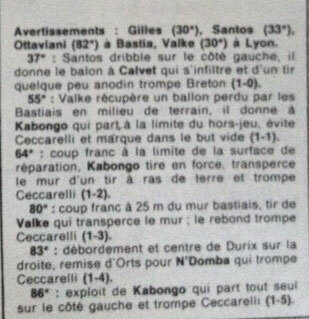 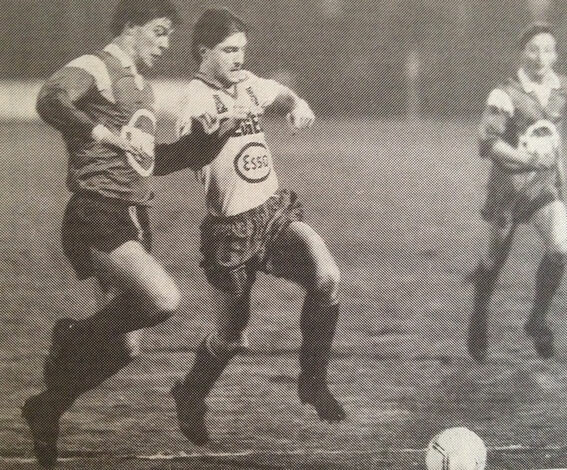 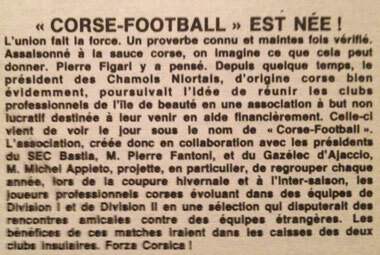 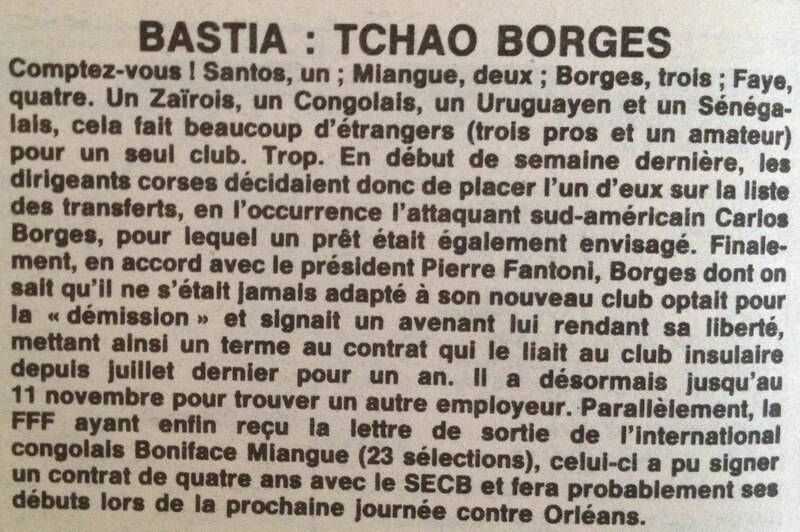 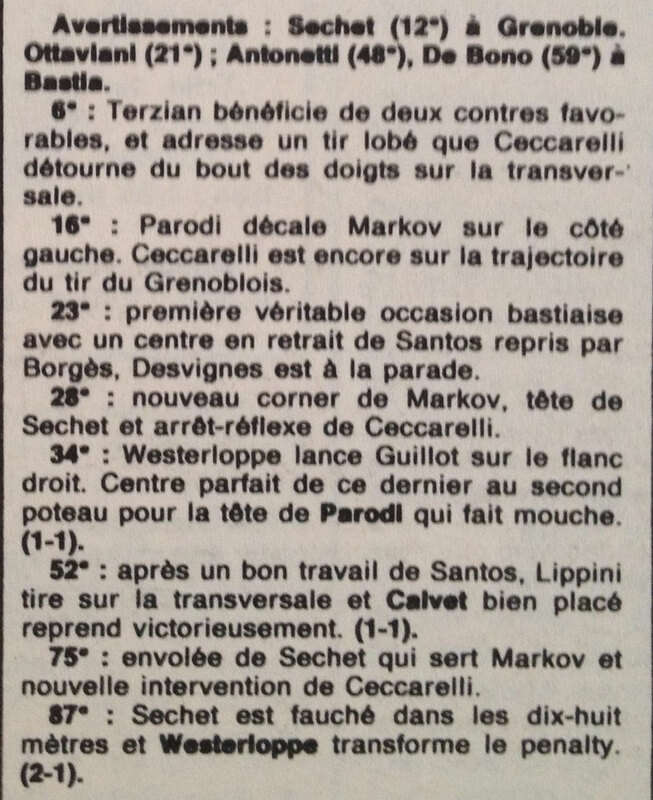 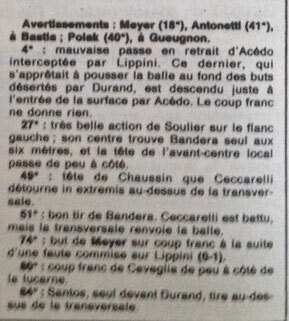 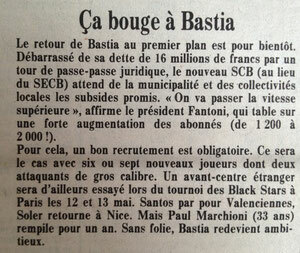 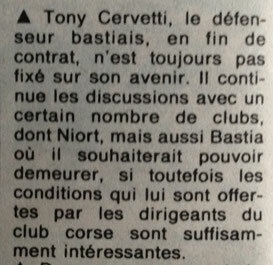 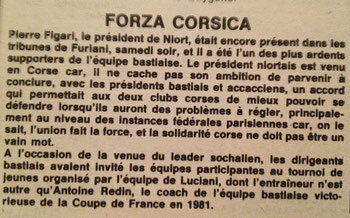 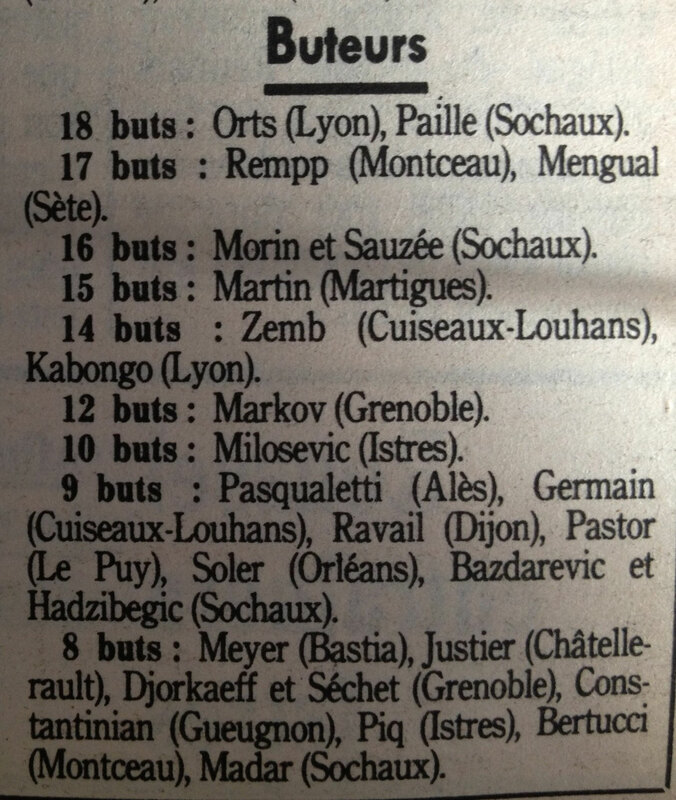 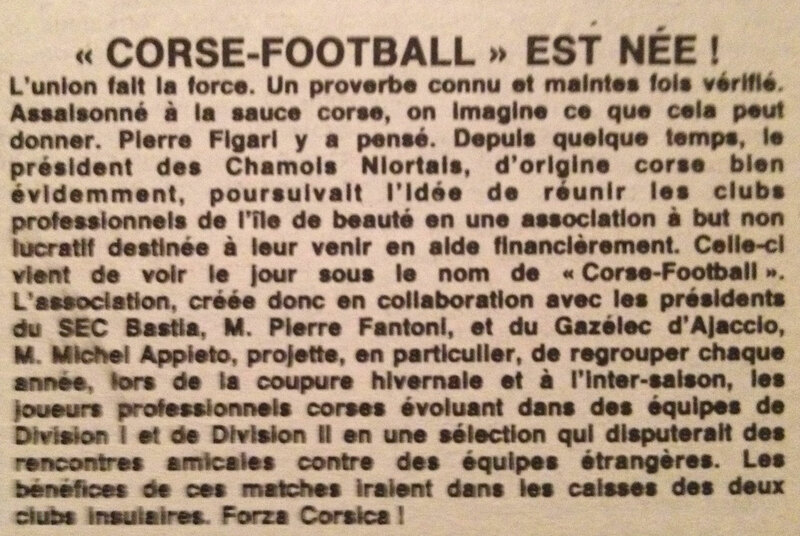 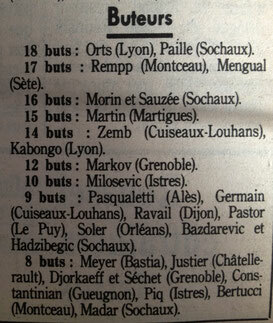 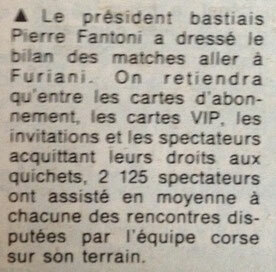 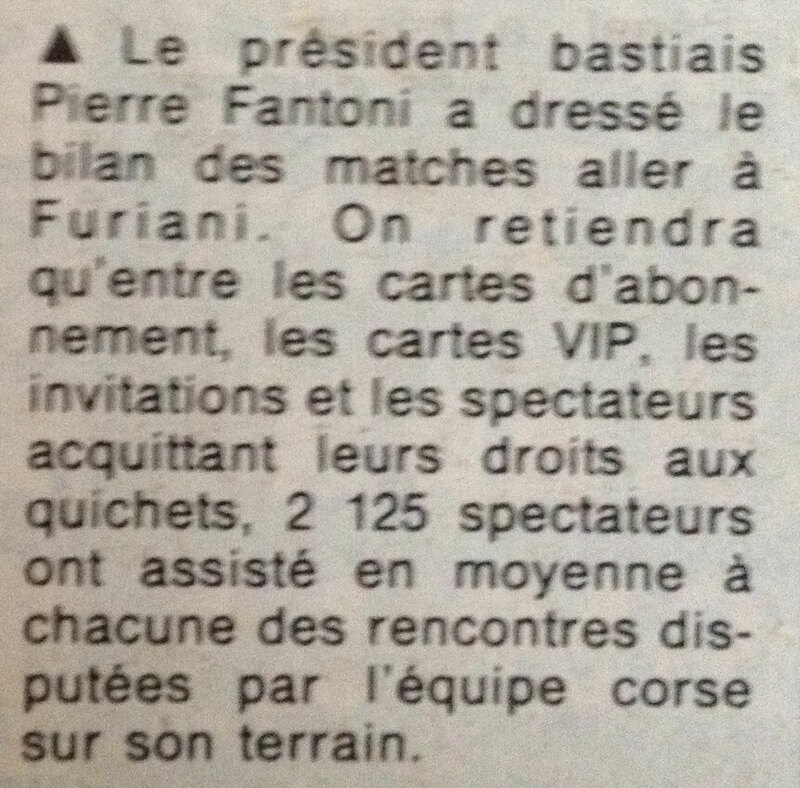 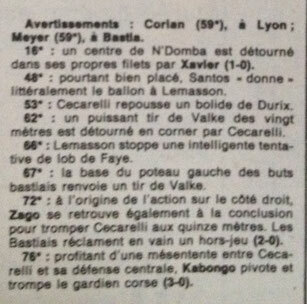 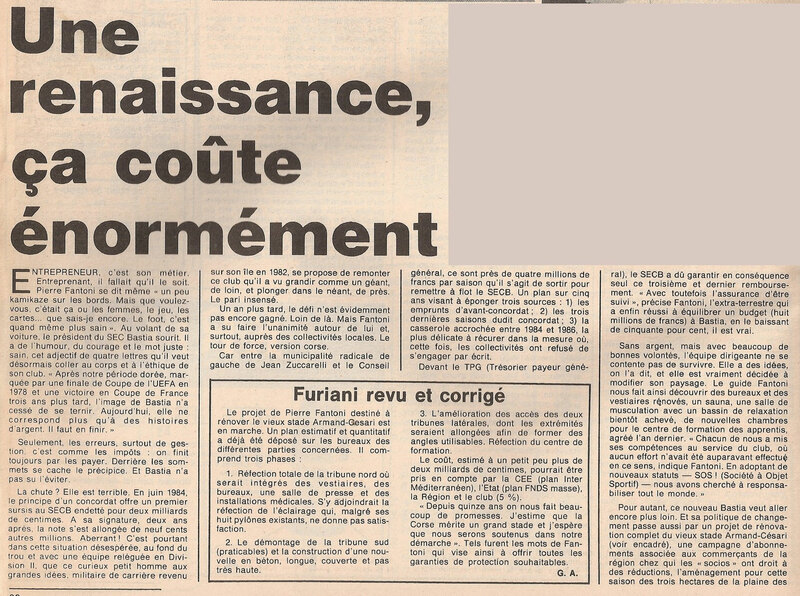 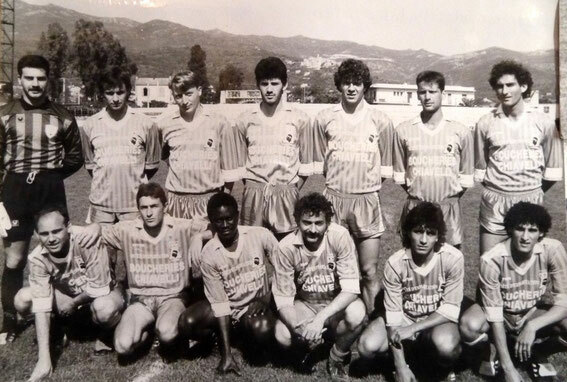 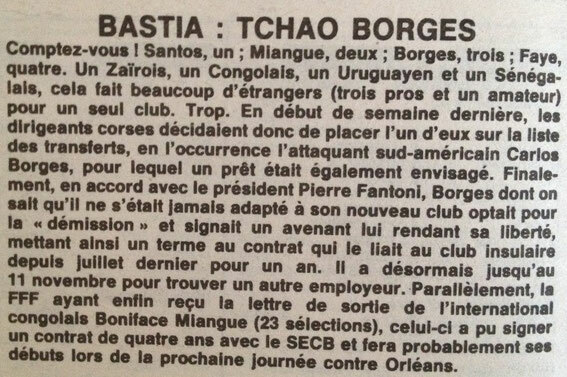 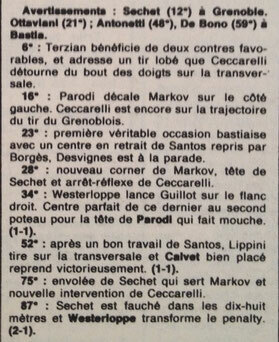 S.E.C.B 1987/1988 - corse football! 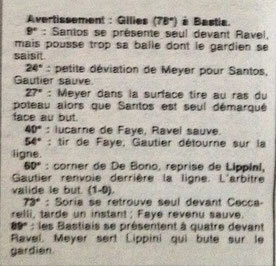 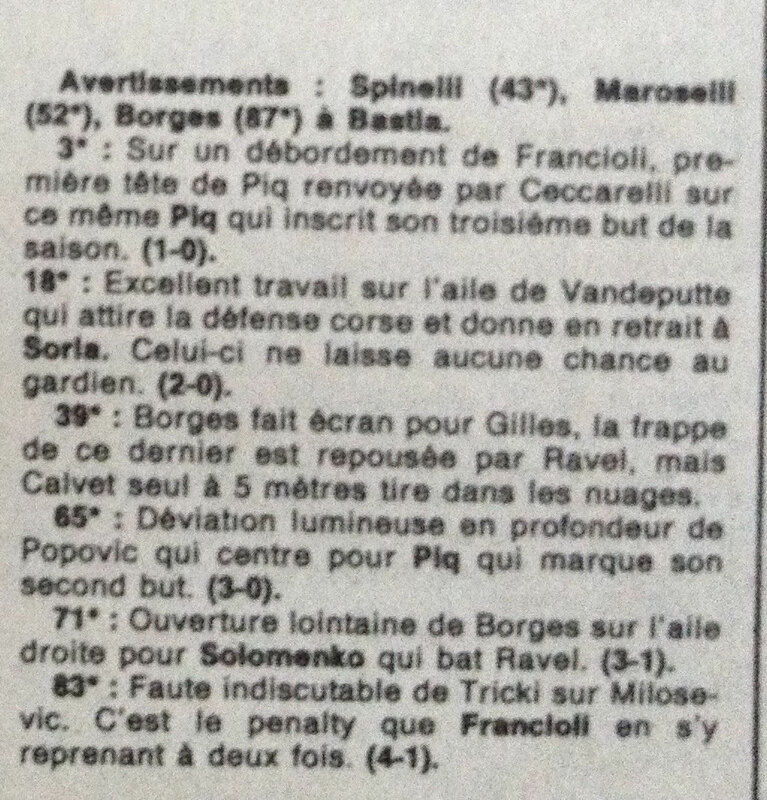 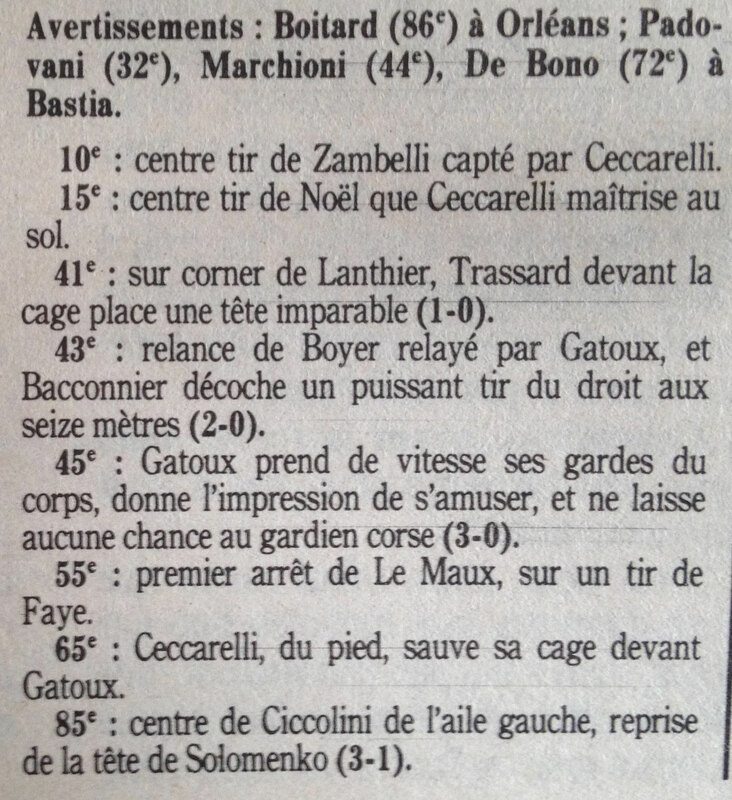 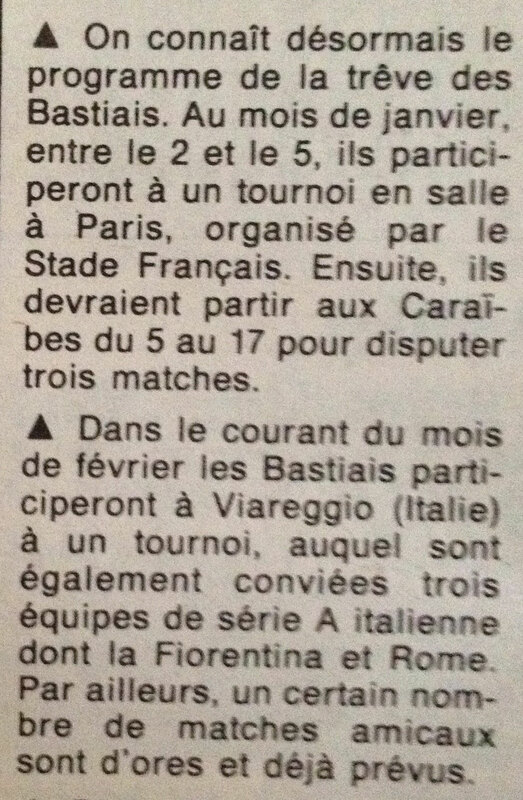 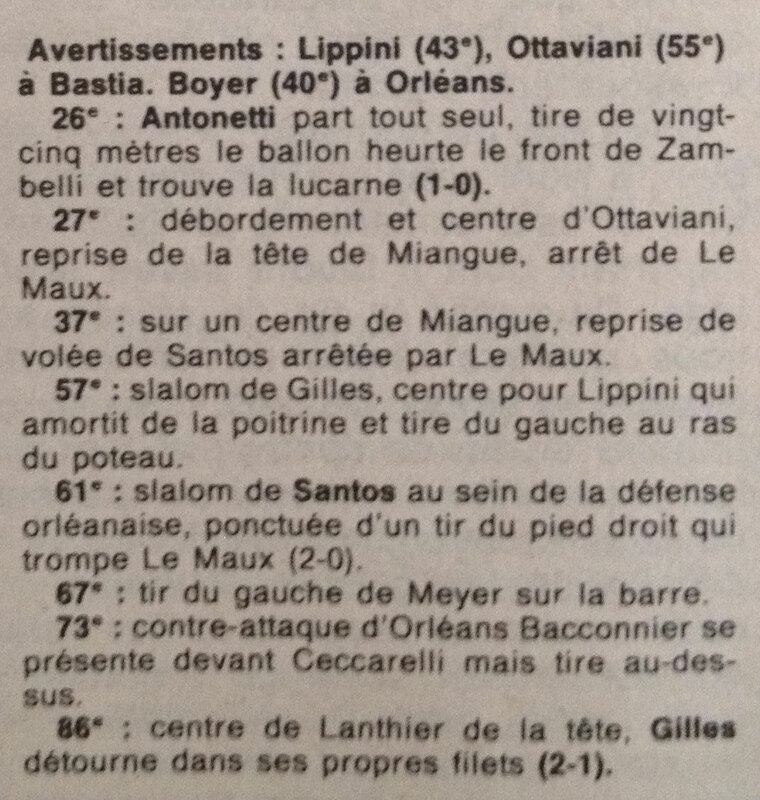 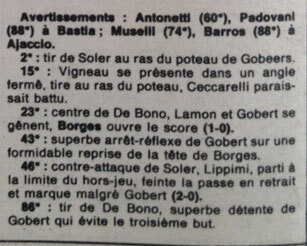 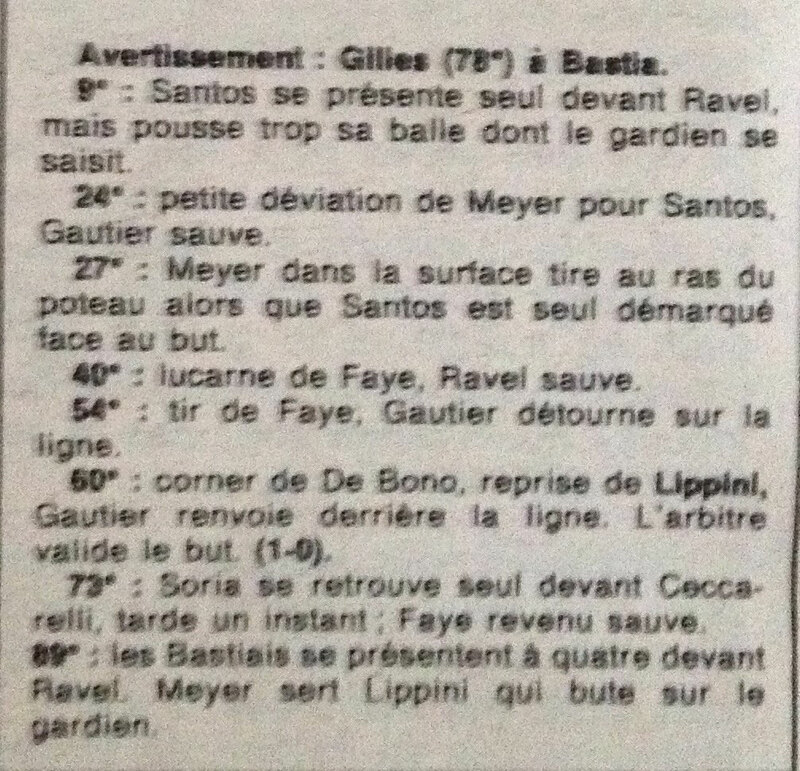 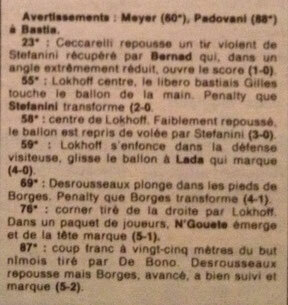 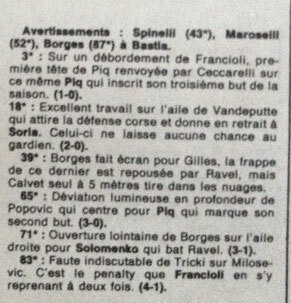 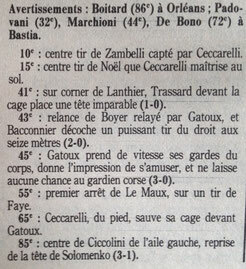 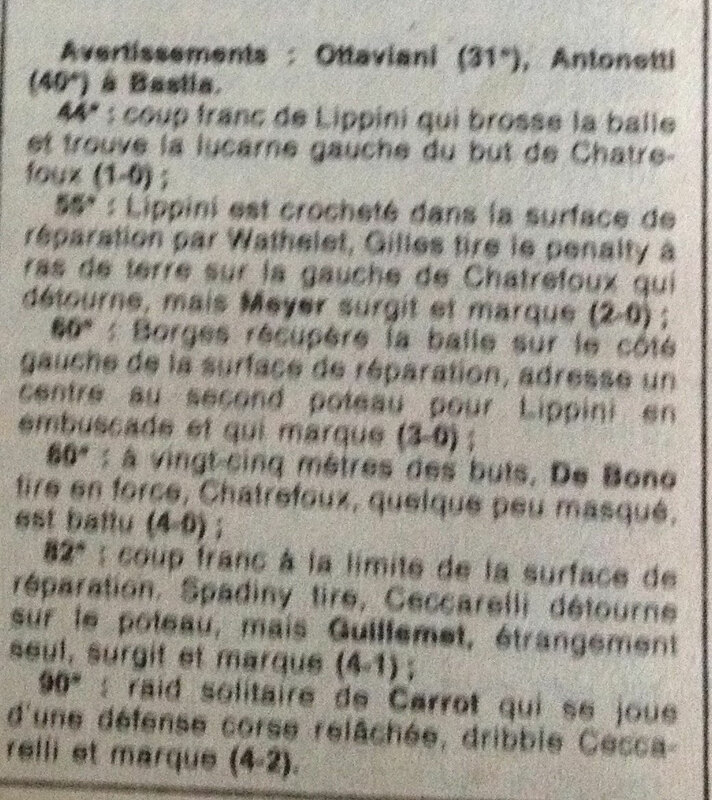 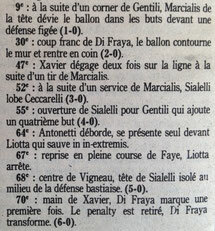 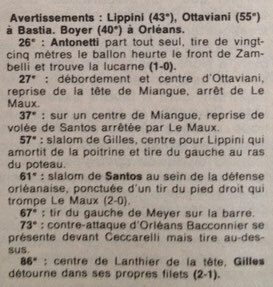 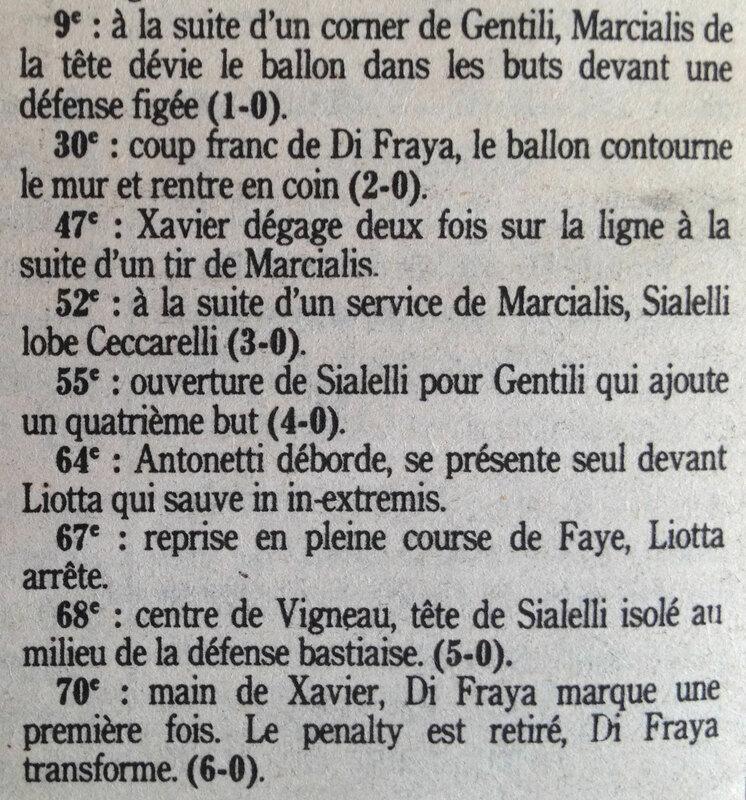 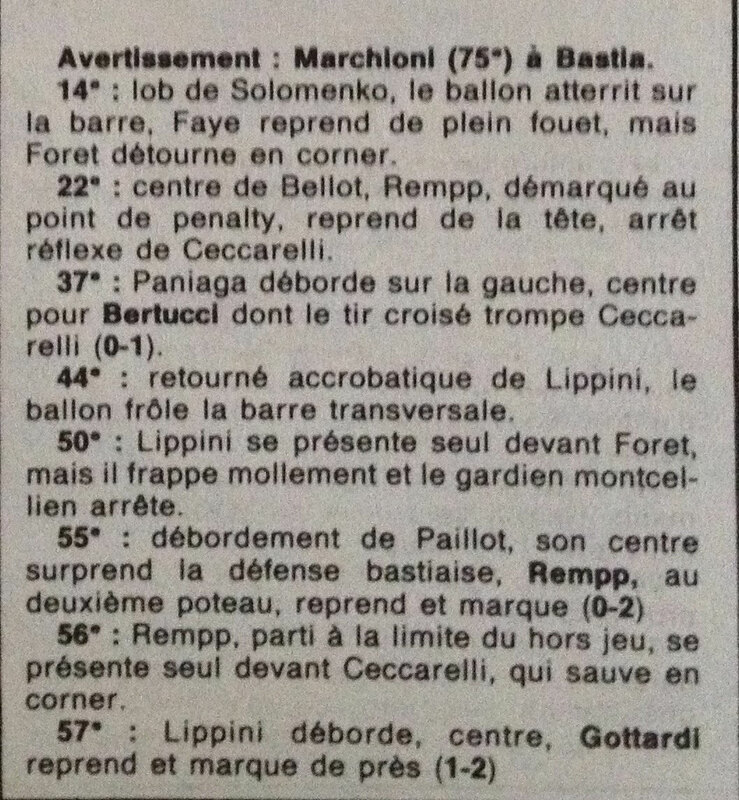 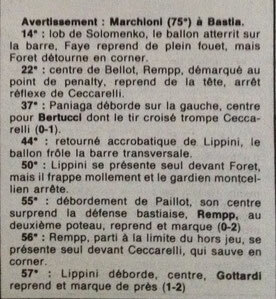 BASTIA-TOURS 4-0 1 500 Sp . 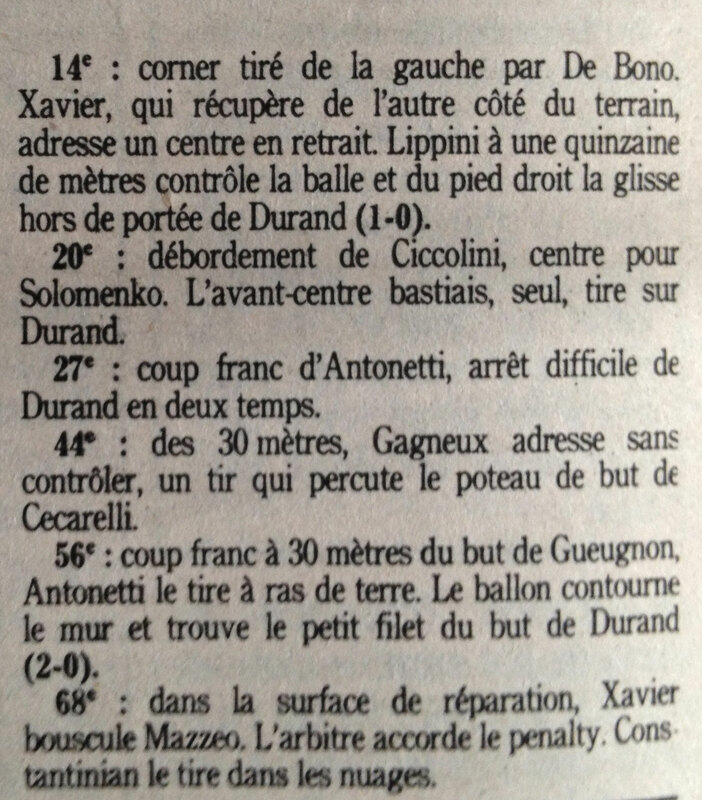 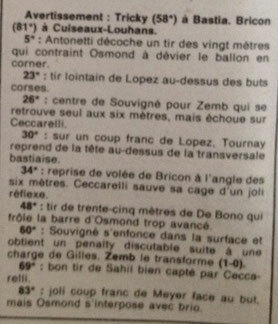 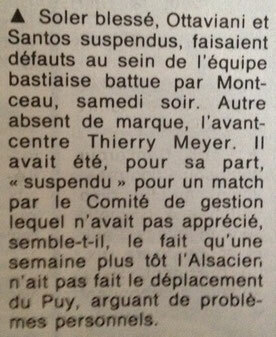 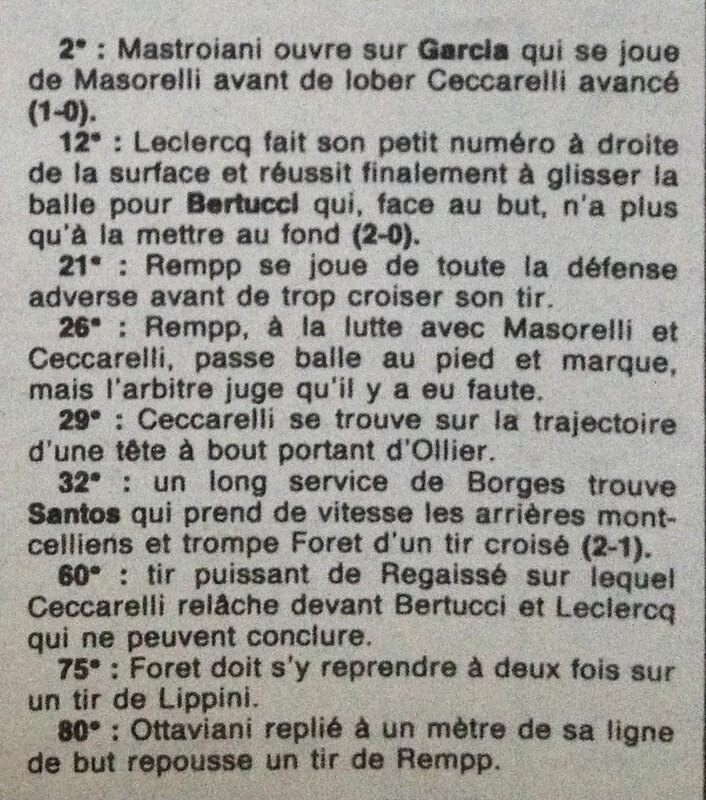 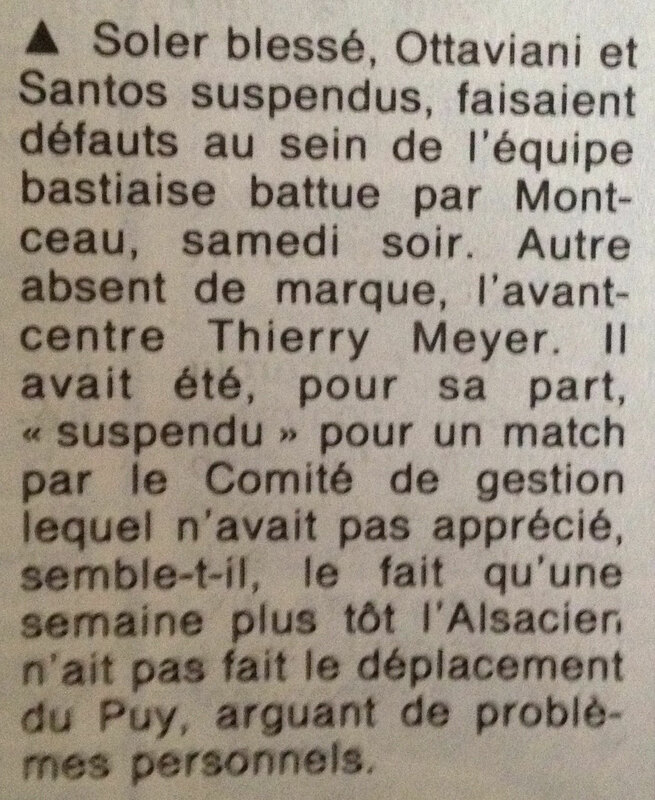 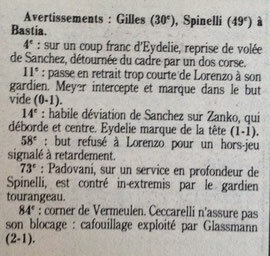 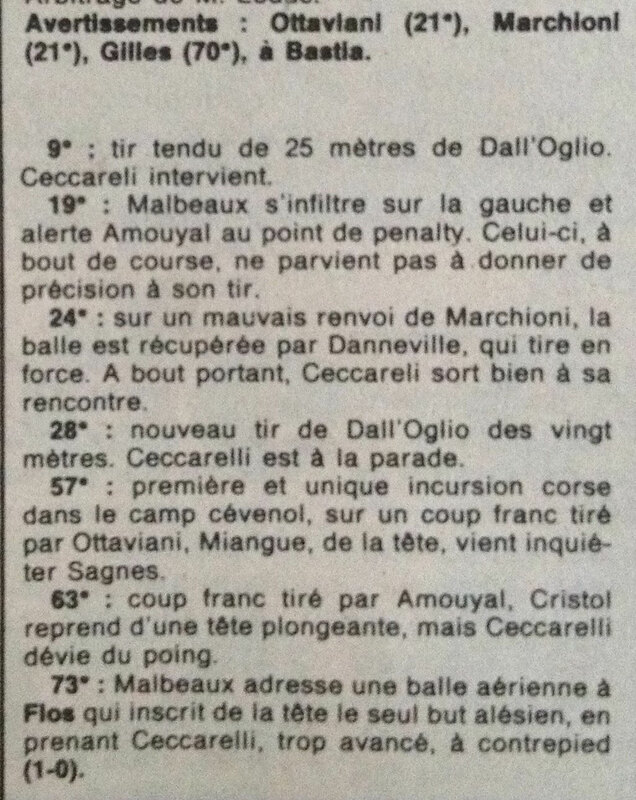 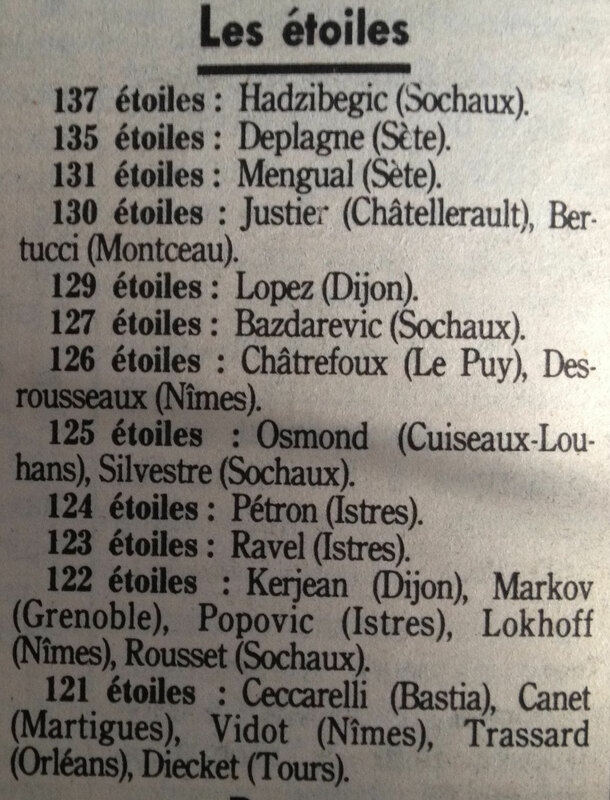 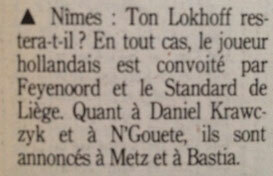 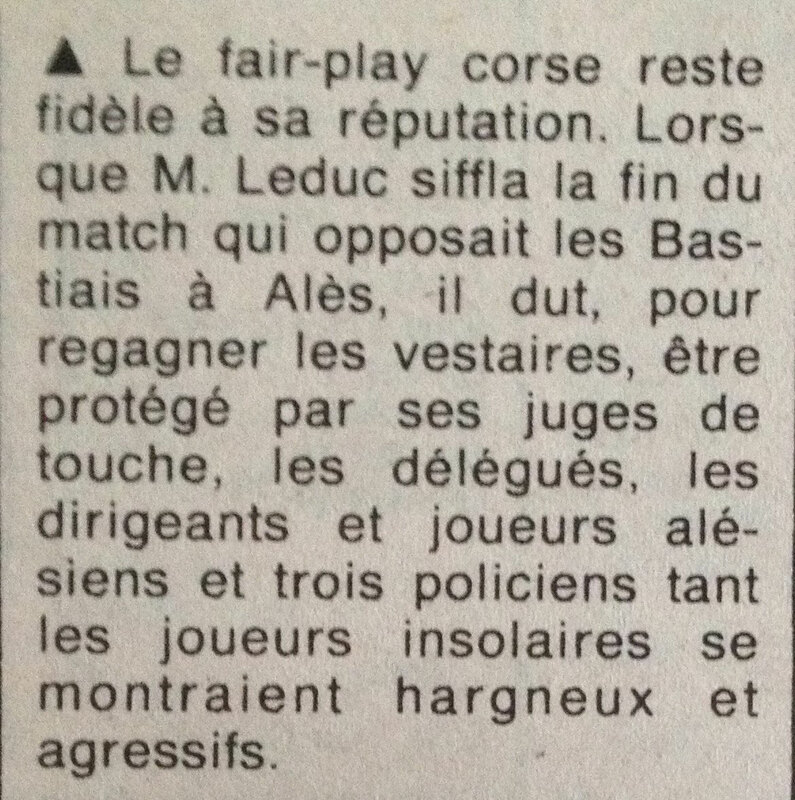 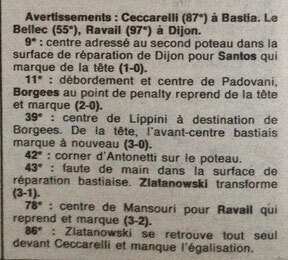 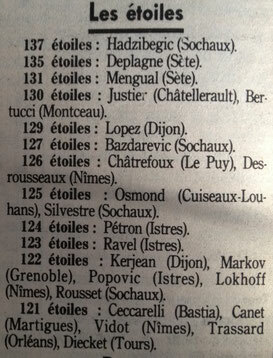 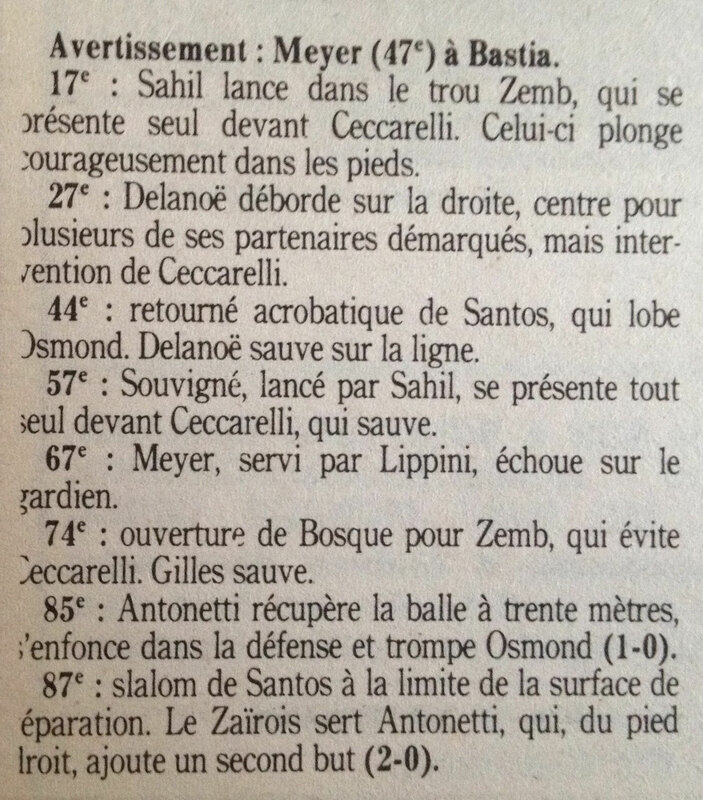 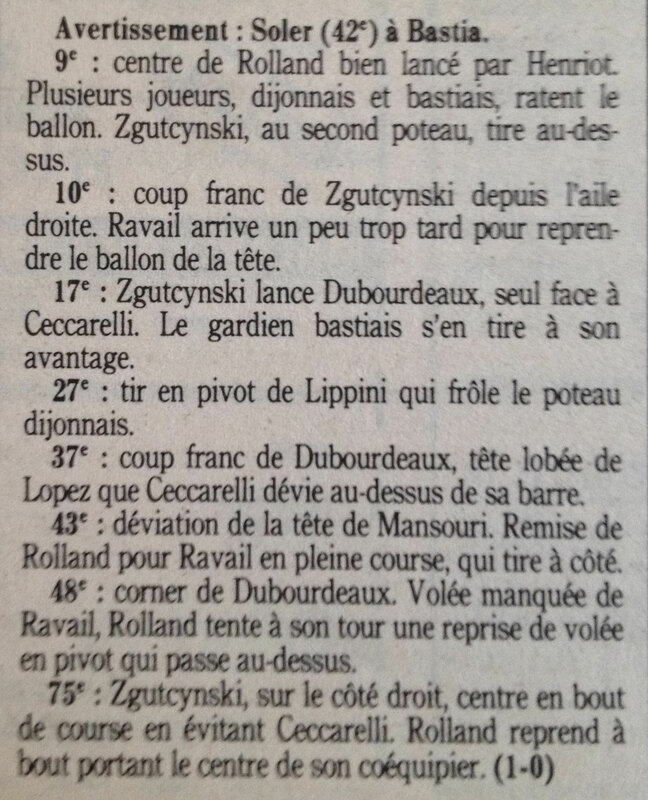 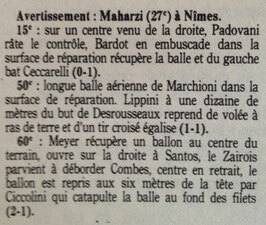 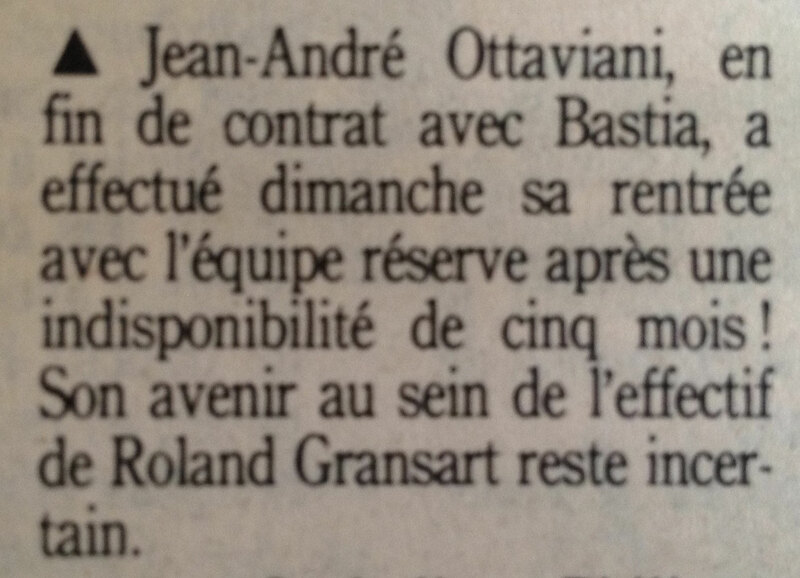 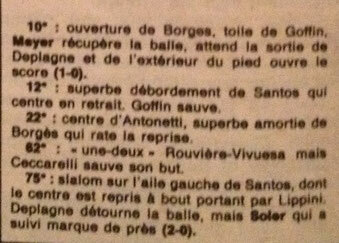 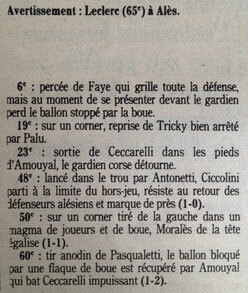 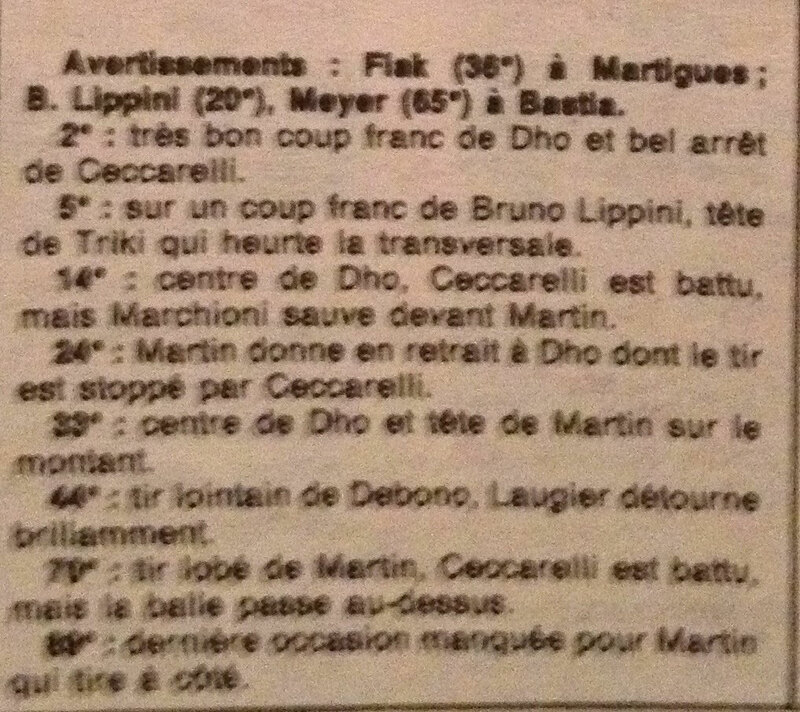 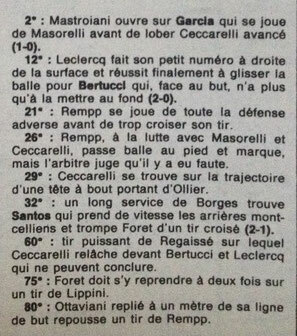 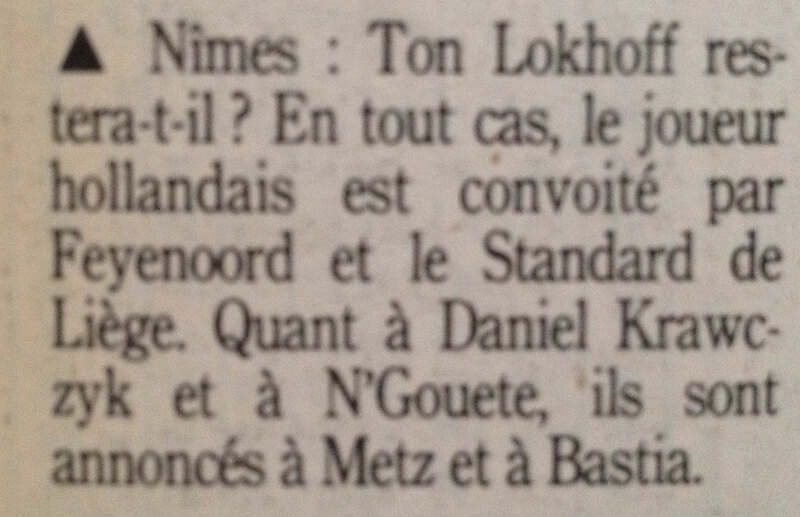 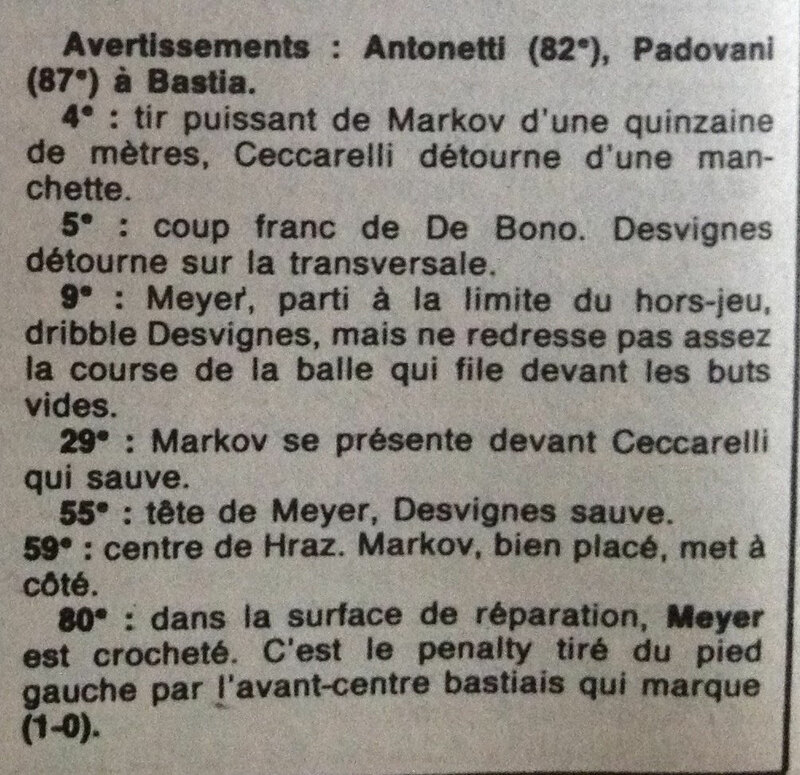 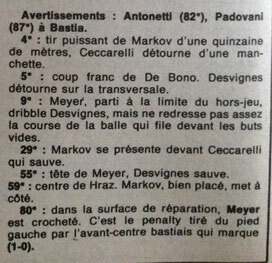 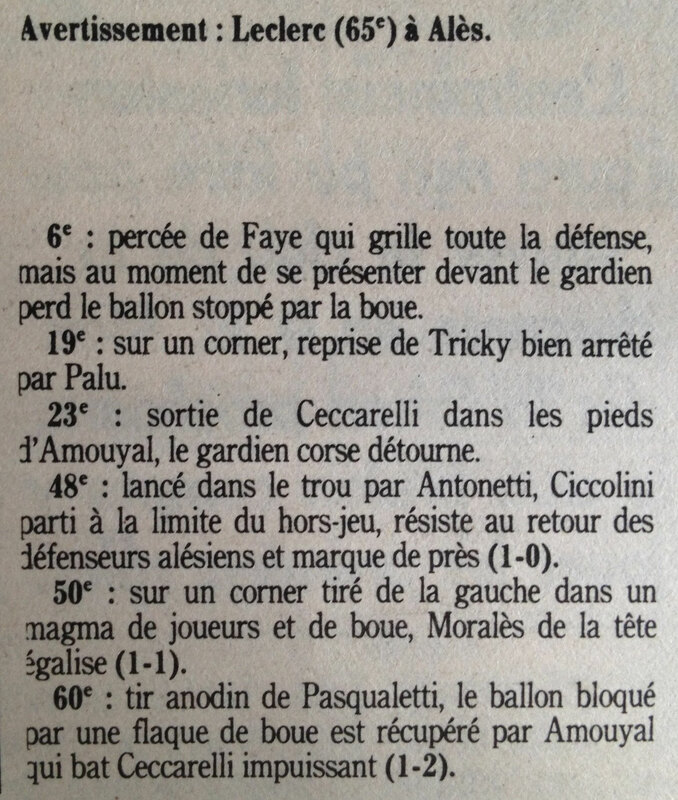 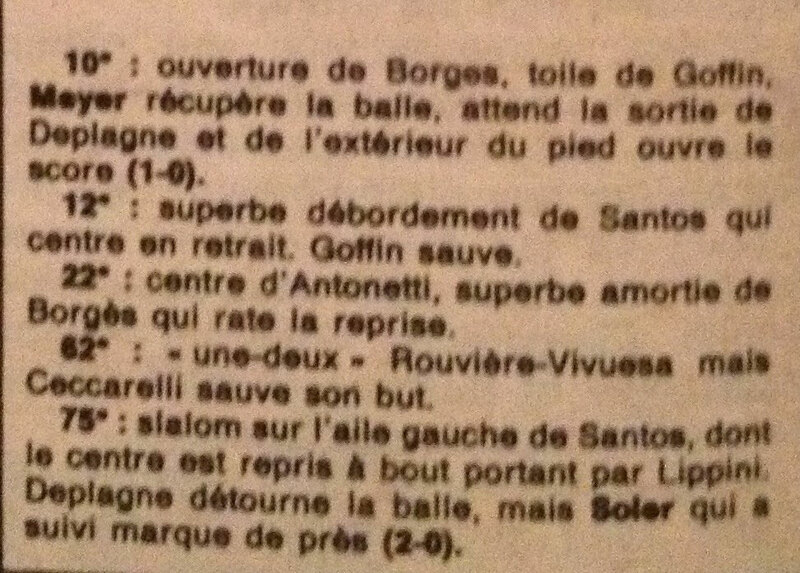 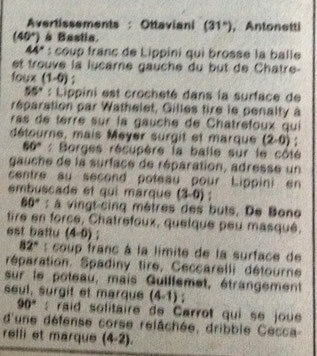 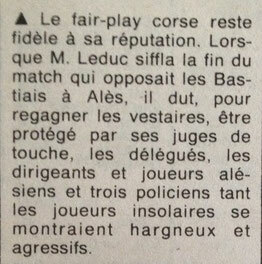 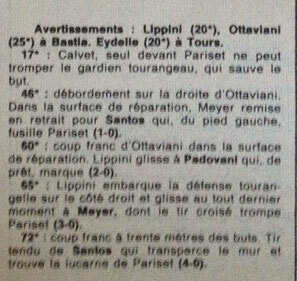 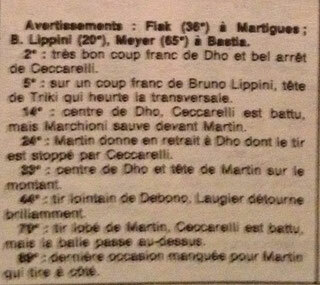 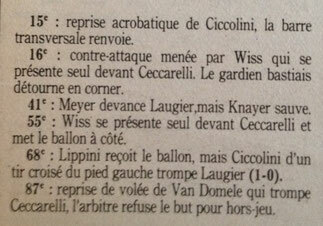 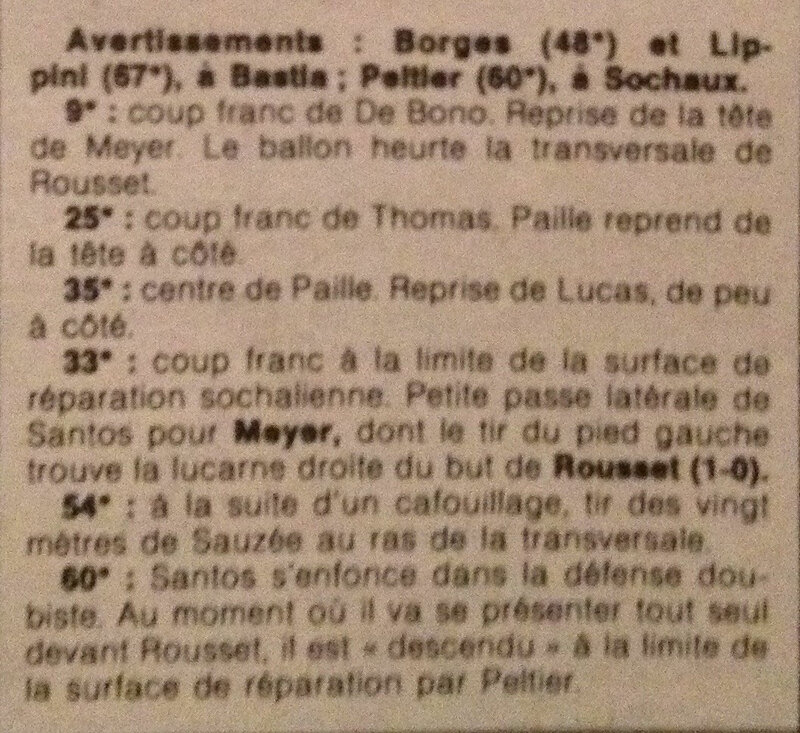 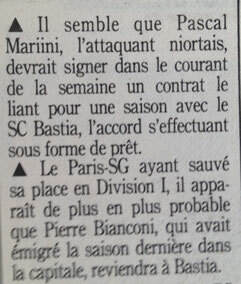 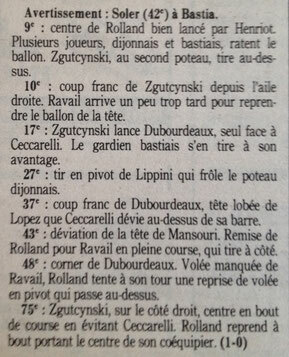 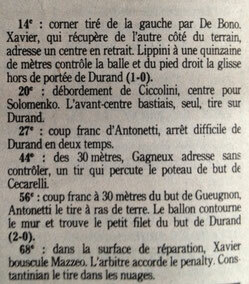 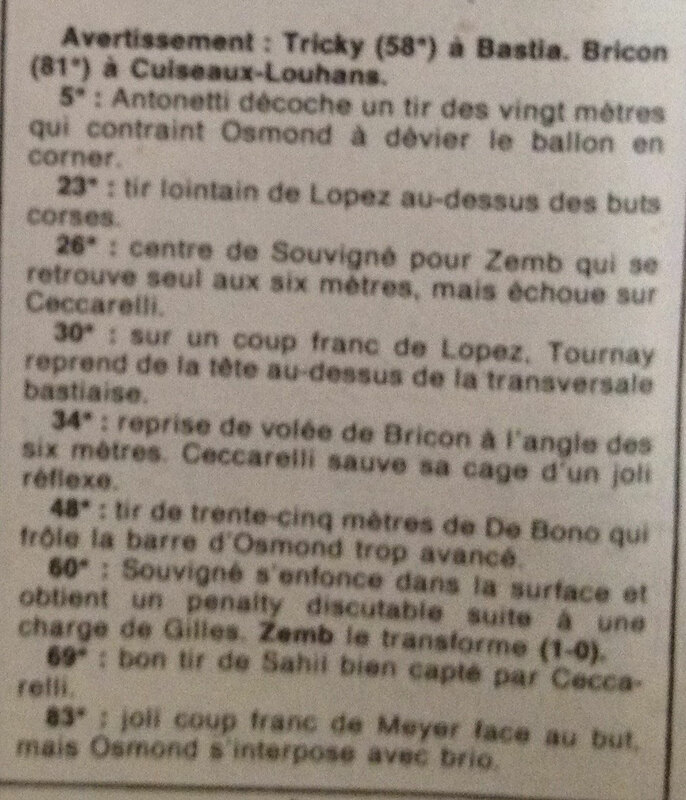 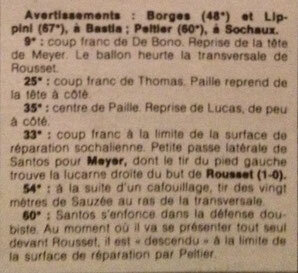 Arbitre : Mr BOUILLET . 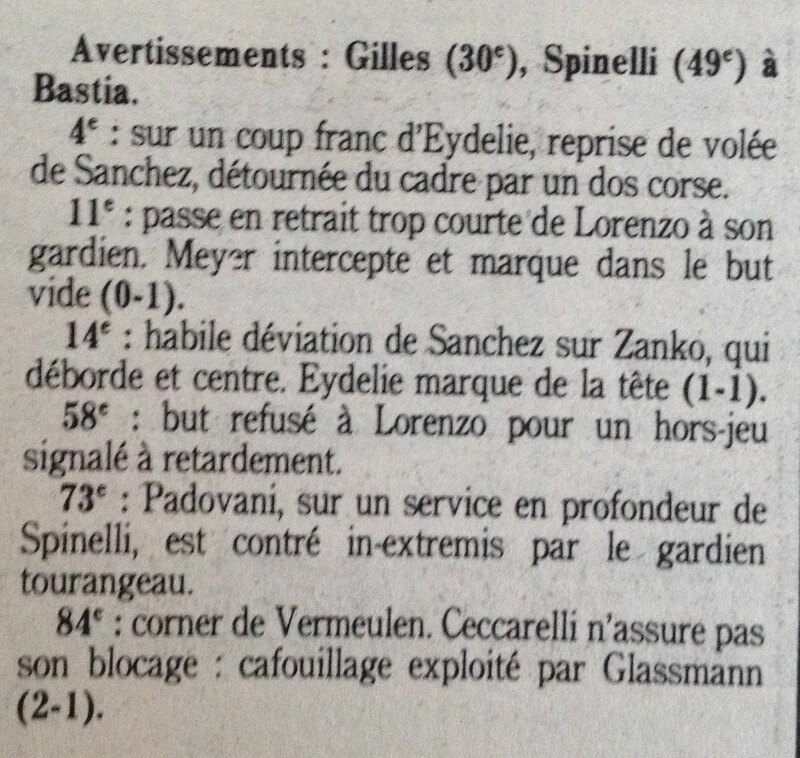 BASTIA-CHATELLERAULT 1-0 1500 Sp. 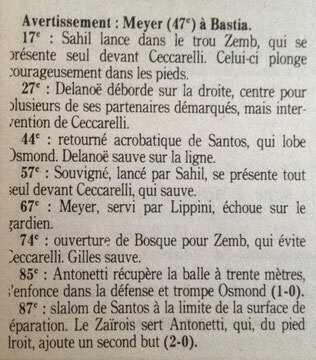 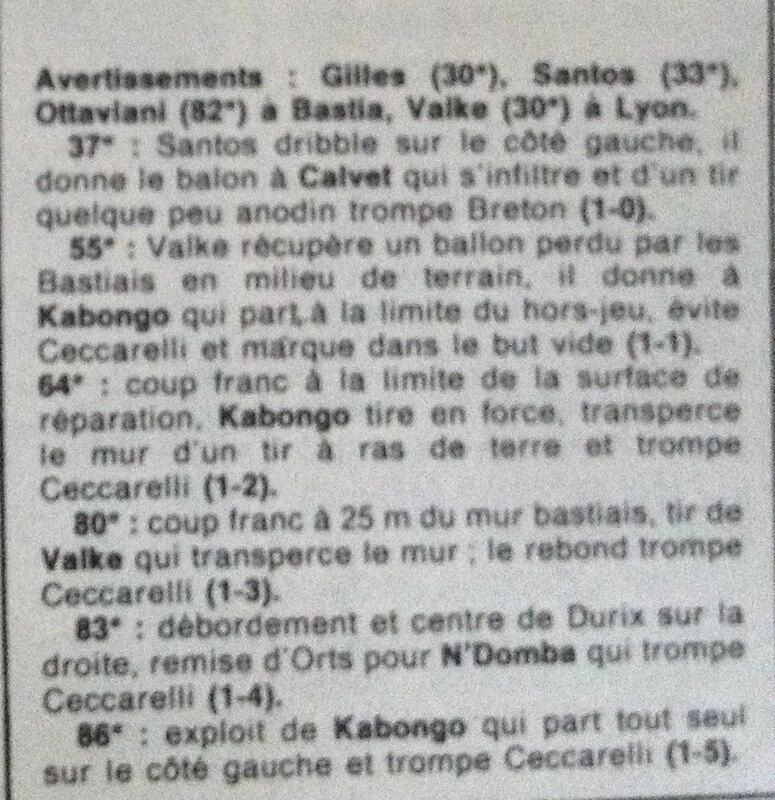 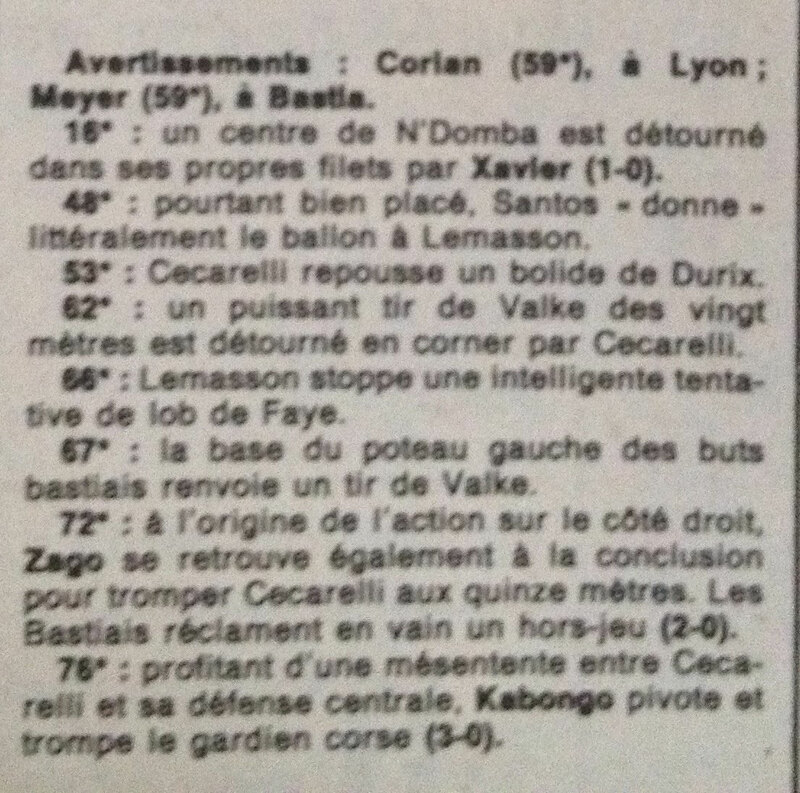 Arbitre : Mr TELLENE . 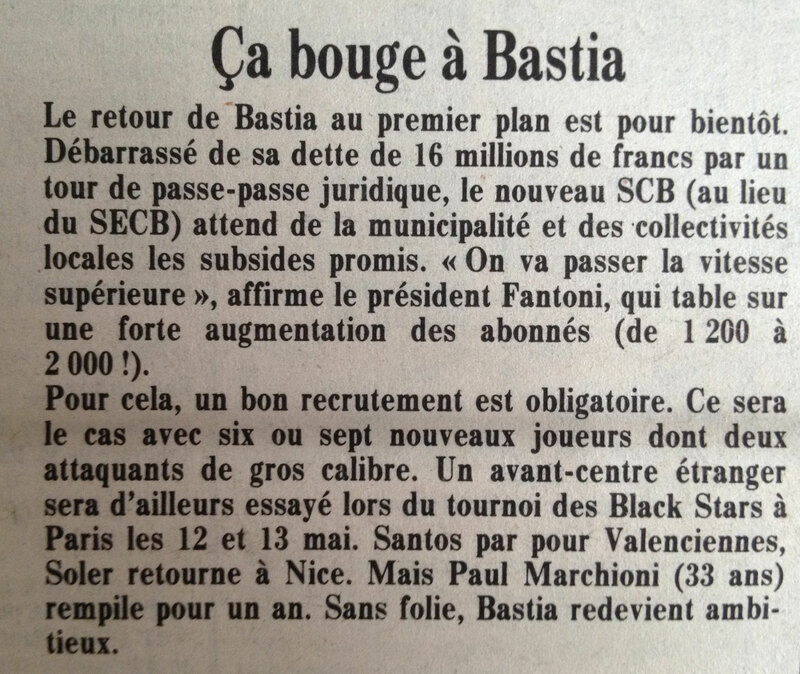 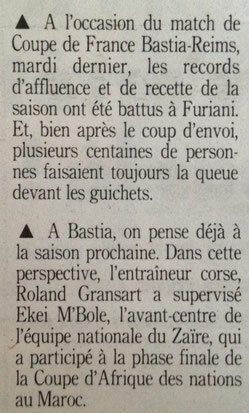 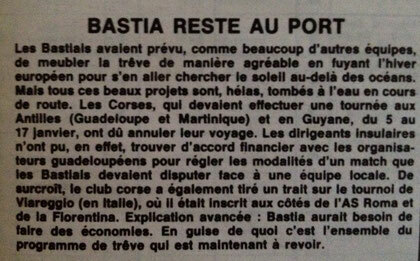 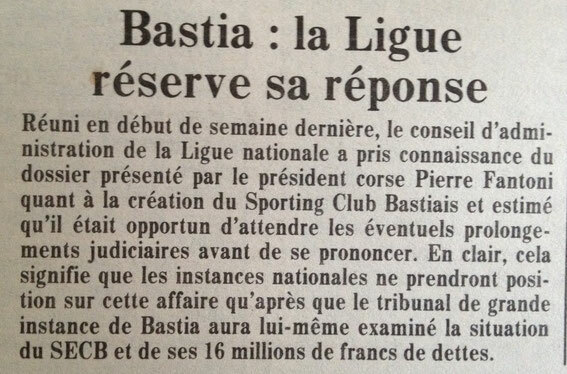 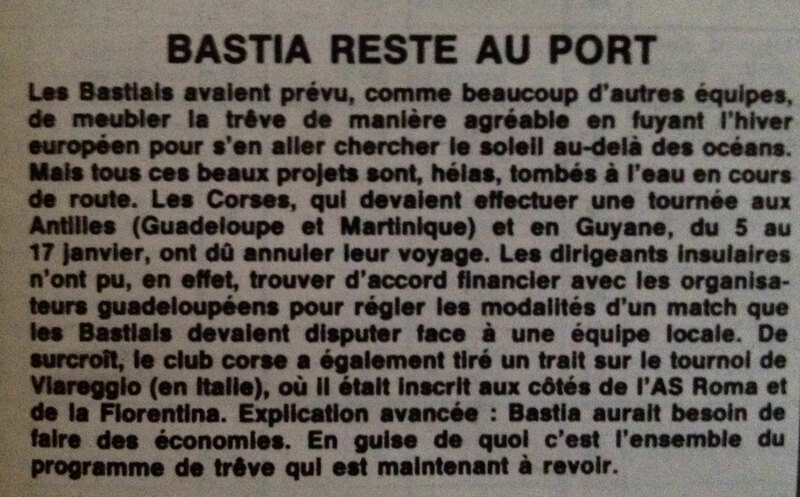 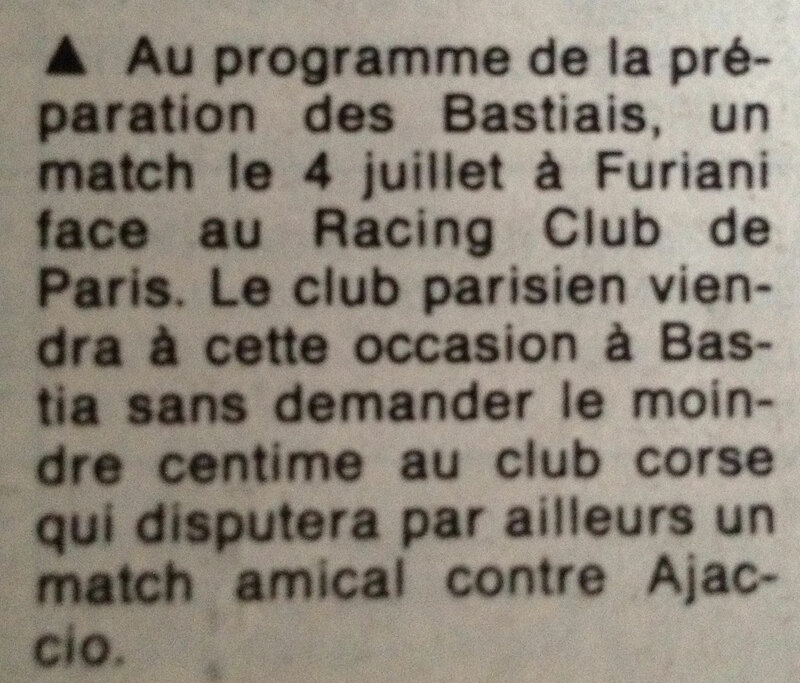 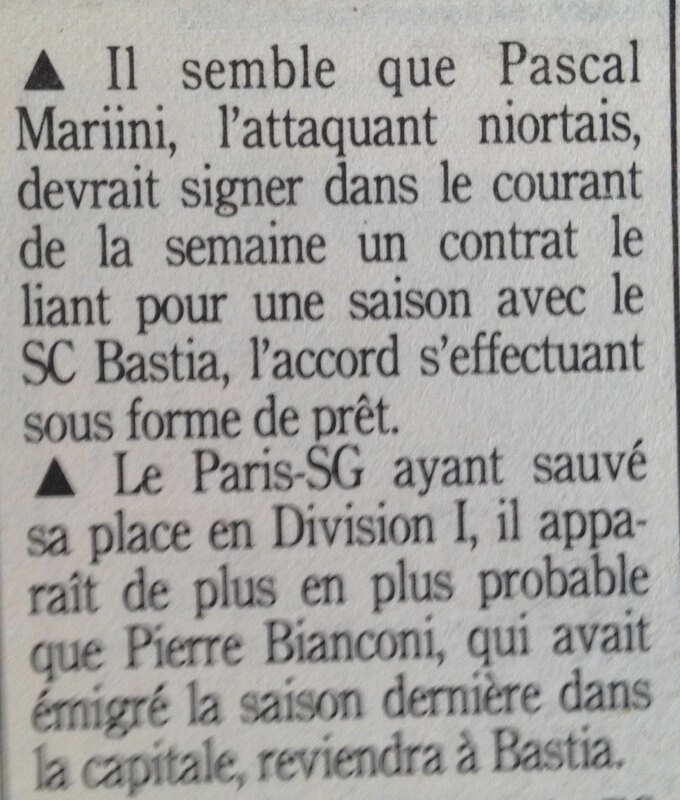 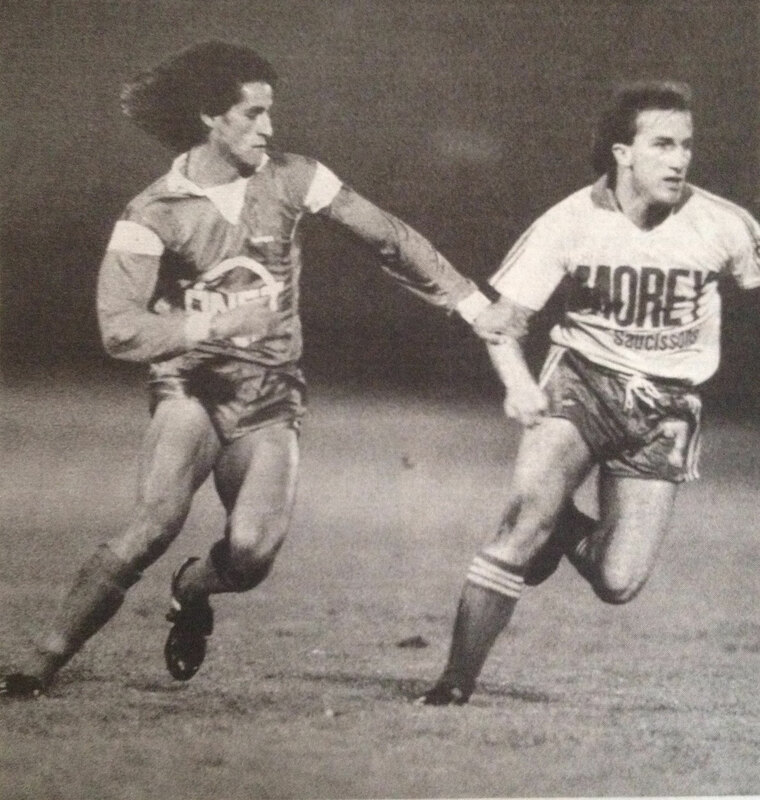 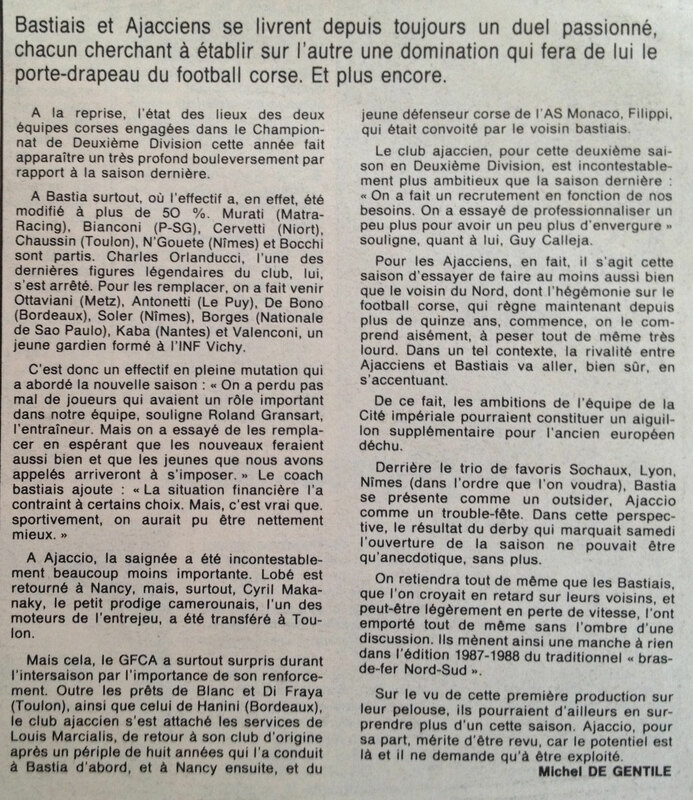 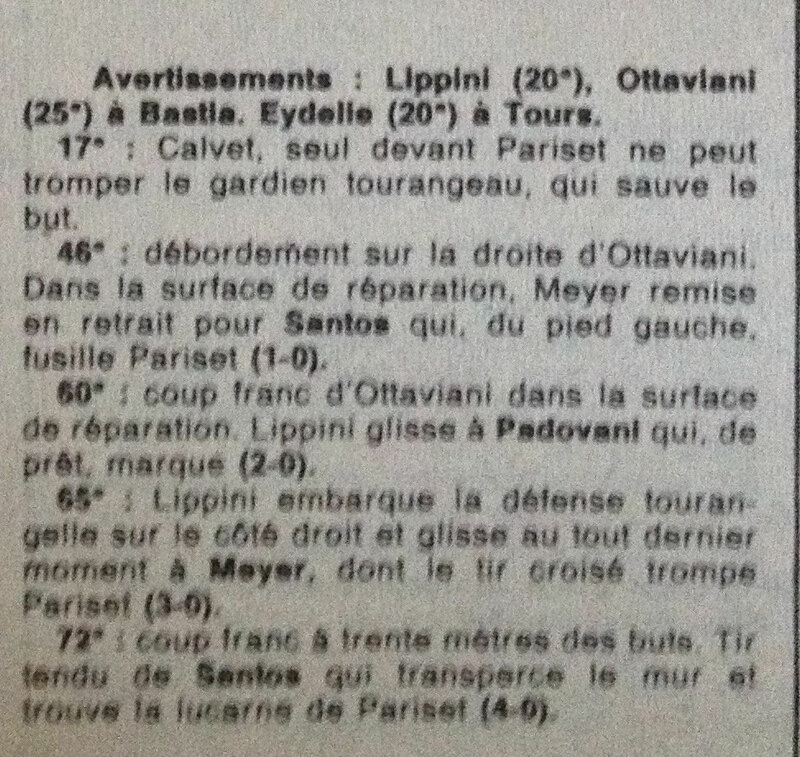 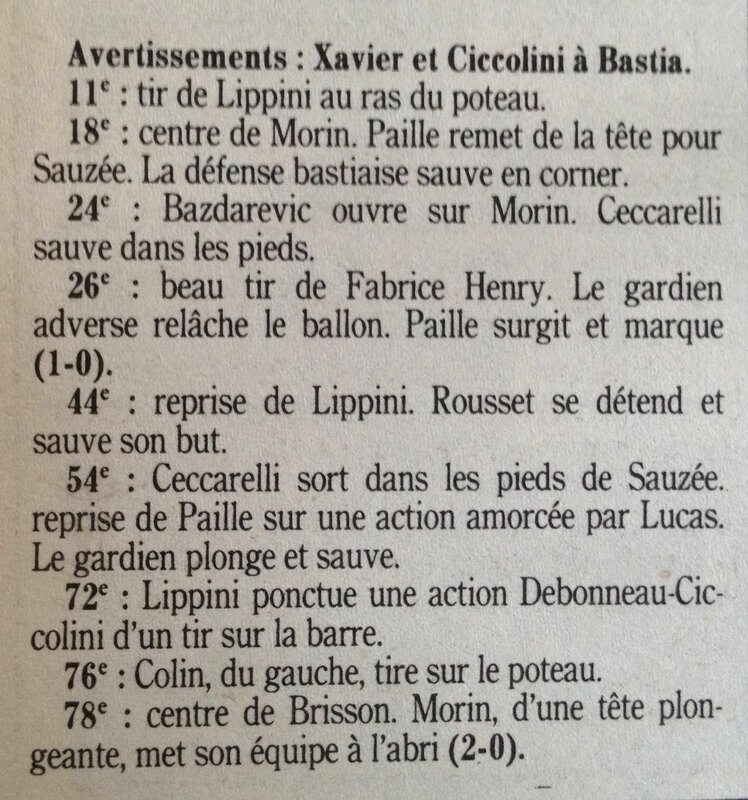 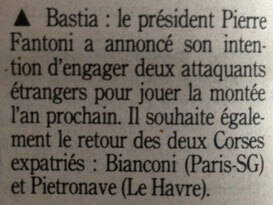 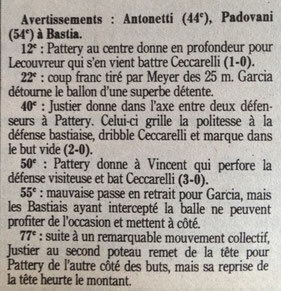 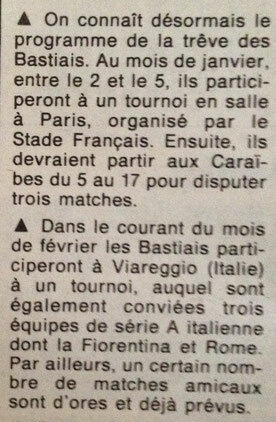 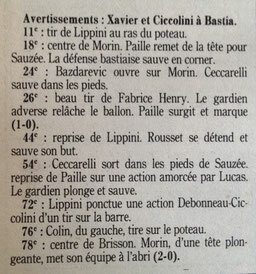 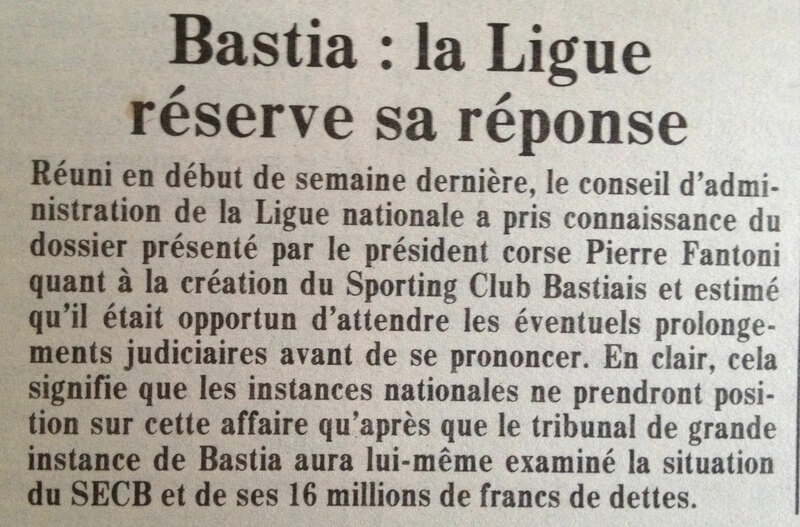 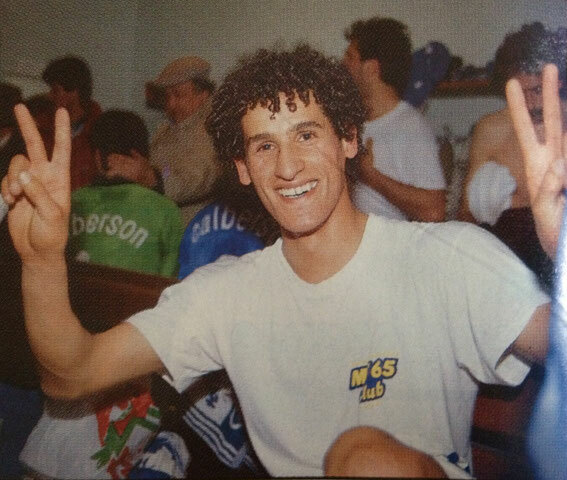 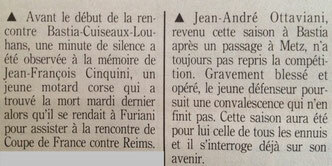 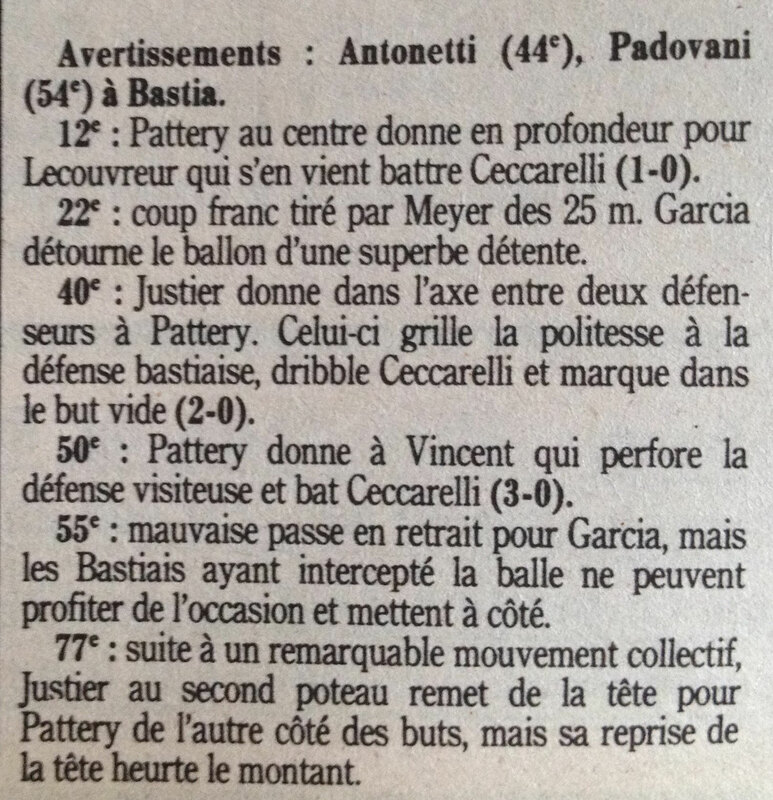 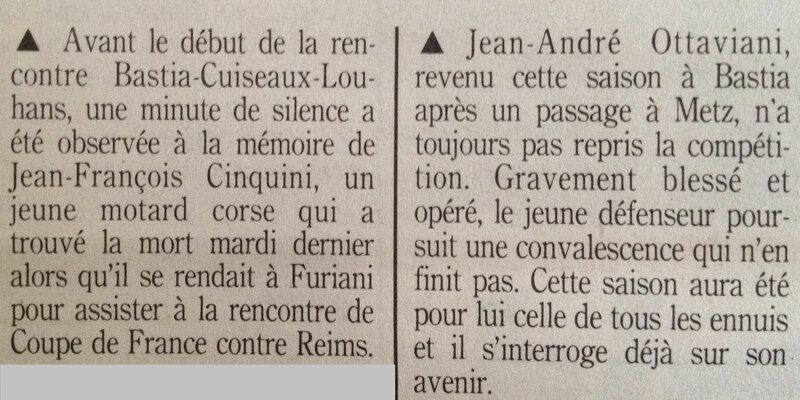 BASTIA-PAU . 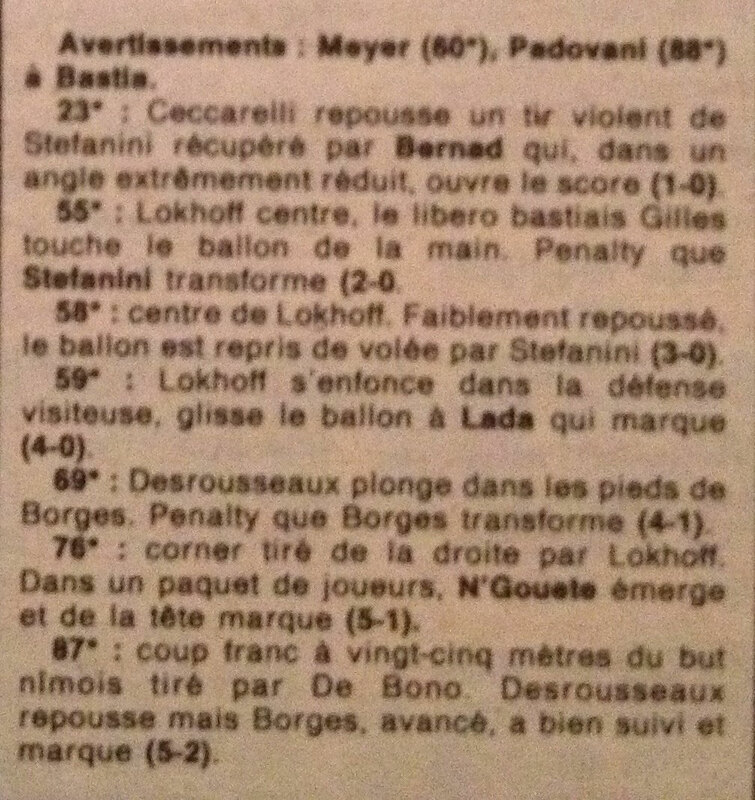 2-0 . 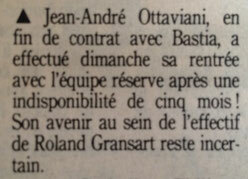 Arb : Mr RAMOS . 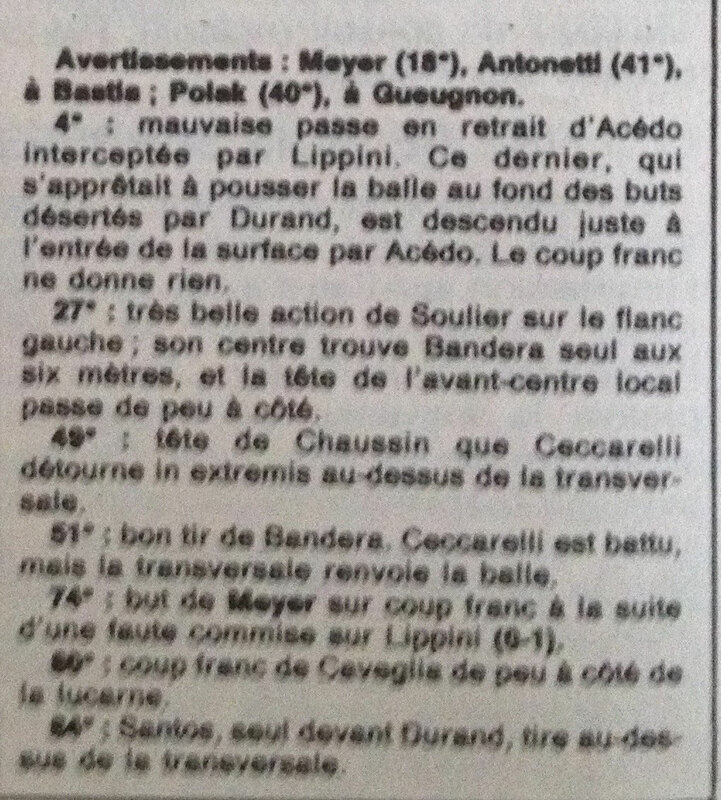 2 000 Sp .